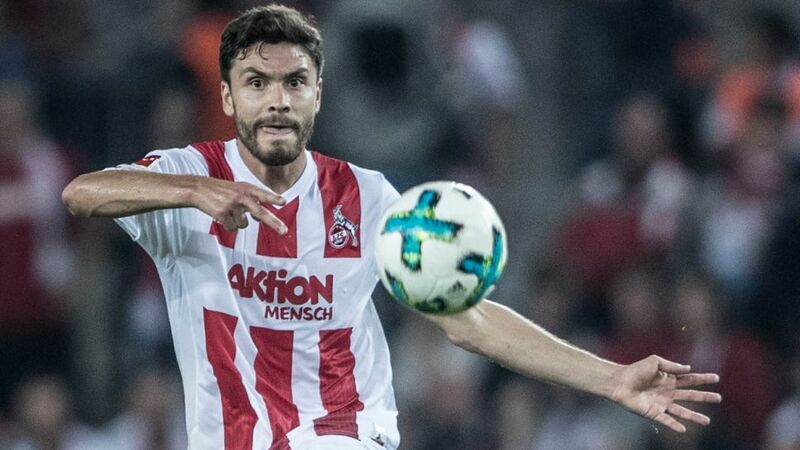 As Cologne’s Mr. Versatile and Germany’s go-to left-back, Jonas Hector is salivating at the prospect of an action-packed campaign on domestic and international fronts. Following the highs of their brilliant conclusion to last season’s Bundesliga – in which they finished fifth – the Billy Goats have endured a sluggish start to their 2017/18 campaign. Losing to Borussia Mönchengladbach, Hamburg and Augsburg may have dented morale among Peter Stöger’s men, yet with away games at Arsenal and Bundesliga high-flyers Borussia Dortmund, Die Geißböcke must quickly refocus. In what are generally happy times for the Carnival Club, a return to European competition for the first time in 25 years has the city buzzing. Facing English Premier League giants Arsenal at the Emirates Stadium on 14 September will signal Cologne’s first big European encounter since a UEFA Cup loss against Celtic in 1992. “We are all very excited, especially when you hear close friends or fans in the city express their anticipation,” Hector explained. “[Arsenal] are a team who regularly played in the Champions League in the last few years and I believe most of the time they managed to get through the group stages [of that tournament] too. They have different ambitions in their league compared to us. They always want to challenge for the title so this will certainly be a great test,” Hector said. A 100th Bundesliga appearance on Matchday 2 came against the same club Hector began his top-flight adventure against in 2014, Hamburg. It is now his stated aim not only to help keep Cologne in the top-flight, but challenging in the upper half of the Bundesliga table on a regular basis. “We know that we played an extraordinarily good season when finishing in fifth place last time and we know it won’t get easier now that we are also involved in the Europa League; we will get fewer breaks, since we are also playing midweek games this season,” he said. “It’s something we have to get used to. We are certainly ambitious, but realistic at the same time. We’ve established ourselves in the Bundesliga over the last three years and consistently improved both in terms of the standings and our points haul. We want to get to a point where Cologne are no longer relegation candidates, but instead competing in the upper regions of the standings.” With the team’s loyal servant on board, the Billy Goats have every chance of achieving that aim. Click here for more Cologne news and features!